There is a scene playing out over and over again across the country right now. It involves tears and hurt feelings and overstuffed storage spaces. It's the moment of truth, when it comes to stuff. Aging parents point to their antique dining table. You know the one: They've loved and cherished it for years. The treasured family heirloom. The one great grandma Ethel personally carried on her back across Missouri. They turn to their children, horror in their eyes, and say: "What do you mean you don't want it?!" It's not always a table, of course. Insert a china hutch, a ceramic cat collection, or a gold floral couch, and this is a conversation many families are having right now. "I thought you'd want that." "I kept that for you." Two experts on the power of stuff and the difficulty of giving it up joined MPR News host Tom Weber to discuss how families can navigate these loaded decisions. Bill Lehman is the co-owner of Gentle Transitions Minnesota, a company that specializes in helping people downsize. David Ekerdt is a professor of sociology and gerontology at the University of Kansas. Drawing on their expertise, and listeners' own stories, we compiled a list of suggestions on how to handle the inevitable process of divvying up a lifetime of objects. What to keep? What to give away? And how do you avoid hurt feelings? "Be gentle," Ekerdt stressed. "That would be my No. 1 tip. Do not press people or shout at people or lean on people to do this, because possessions, as we know from psychology, are sort of an extension of ourselves. "If we're asked to cast away one half of our things, in a certain sense we're casting away parts of ourselves. And we're going to have to become different selves. People have to be ready to do that." The upside? Ekerdt said that of all the households his research team interviewed, no seniors regretted downsizing. "They might miss one or two things ... but they feel empowered by having done it. It's a gratification for them." Sometimes you just need help. There's now an entire industry built up around helping seniors downsize. "Engaging people such as estate sellers or move mangers can be helpful and a dose of reality," Ekerdt said. Lehman, who works in the industry, said demand for his company's services keeps increasing. Their job, he said, is to "be that sympathetic ear, to understand what their concerns and issues are when they're facing an upcoming move." 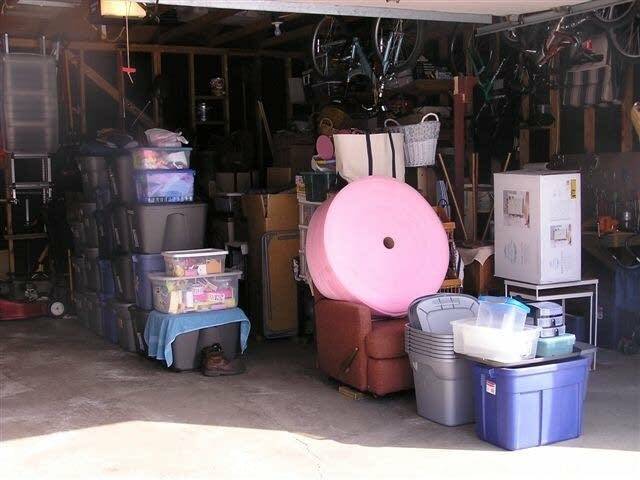 Move managers can go through a house with people and help decide what's a must-keep and what can be sold or donated. Nancy called in with her own story of downsizing. She personally inherited all of her parents', grandmothers' and great-grandmothers' stuff. "I appreciated the memories, and it was hard to let any of it go." That said, she realized that her sons weren't interested in the antique table "or the giant bowl that my uncle carved out of a tree stump." "So you get down to the point where you pick some really important things that have personal meaning that are small — things [my sons] can store away somewhere," she said. "Then you have to not feel guilty or bad when you can't keep anything else." Houses have increased in size in World War II, Ekerdt pointed out. And bigger houses are "just bigger containers." That means this generation of downsizers have more to unload on their children and grandchildren than ever before. It also means that those children and grandchildren likely have their own full houses. With the rise of mass manufacturing, there's more stuff than ever out there. Downsizers need to be realistic about what their families can physically fit. Leaving things to the last minute only increases the chaos and difficult conversations. When it comes to starting the conversation with parents or grandparents about downsizing, Ekerdt said it helps to emphasize time. "You can say: 'If you care about these things, now is the time where you can control where they go.'" Time opens up options: it lets people prepare to receive things, it helps procure a fair price during sales, it ensures items get donated if necessary. A caller named Jennifer said she wished her grandparents had downsized sooner. "If they had asked me when I was 22, 23, and just starting out: 'Do you want grandpa's armchair or the china hutch?' I would have said, 'Yeah.' But by the time I'm 30, my home is full already." "Take small bites at a time," Lehman said. He recommends asking people to work on downsizing for no more than three hours at a time. "Don't expect to spend a whole day. It's emotionally and physically fatiguing. Take it in small bites, and help them understand the things they need and don't need." "There is so much paper in a house that can be gone through, and these are things that an estate sale is not going to deal with," Ekerdt said. "There are insurance policies, stock certificates, medical records — things that people have kept for a long time. This takes time to go through ... and it's best done by the family and the elders themselves." Tastes are always changing, which means things that were once valuable no longer are. While everyone might be hoping for an "Antiques Roadshow" moment, in which the plates they've been holding onto for decades are suddenly worth thousands of dollars, those moments are extremely rare, Ekerdt emphasized. Part of people's reluctance to part with things may be tied to those items' perceived monetary value. Recognizing what furniture or collectibles are actually worth in today's market can be a difficult but necessary part of the downsizing process. A listener named Carrie just went through this process with her 98-year-old mother-in-law. "You realize that you're not just giving away an item, you're asking your elderly person to give away an aspect of their life, a part of their history, to totally change who they're going to be and restructure what they've believed is who they are. And you're asking them to do that rapidly." In order to make the process less painful, Carrie said she and her family took pictures with items in her mother-in-law's house to document them. That way her mother-in-law could know that "she wasn't going to walk out the door and never see it again." At the end of the day, "families have a duty of reception," Ekerdt said. "They have a duty to take things. My tip No. 1 — and two and three — would be to just take it. Just shut up and take it." "Take the thing. We're not interested if it isn't your lifestyle. Take responsibility for the thing. ... This is a real form of caregiving and a real form of love if you can take things. Never mind what you're going to do with it. Sometimes I half suspect the elder knows what you're going to do with it: It's the thing that they cannot themselves do."